If you watched the Super Bowl this year, amidst the frustratingly boring game-play and typically grandiose but shallow commercials, you may have noticed one that was particularly unorthodox and unusual; one that stuck out for being the opposite of a typical Super Bowl ad. This one was serene, barely louder than a whisper, and, possibly “tingle”–inducing. This is a phenomenon known as ASMR, and evidently it’s now found its way into mainstream culture. I’ve been wanting to write about ASMR for some time, and given this completely unexpected spike in audience, now seems a better time than any! So, what on earth is ASMR? It’s actually very simple, but impossible to truly understand if you aren’t susceptible to it. The initialism stands for Autonomic Sensory Meridian Response, which is an obtuse, yet extremely literal scientific name for an entirely subjective physiological feeling — something that quite honestly deserves a new poetic, beautiful word to be coined in its honor. Broadly speaking, certain stimuli, typically auditory but sometimes visual, known in the lingo as “triggers” will cause a tingly sensation to propagate through one’s nervous system, which are commonly referred by the very original name, “tingles.” Indeed, there is nary a better descriptor for them. That’s right, I am one of the lucky ones who get tingles. Why else would I be excitedly writing about this? It’s something I’ve known for a long, long time, but until the ASMR community really began to spread, mainly on YouTube, in the early 2010s, I had no name for it. As I said above, ASMR is a clumsy, inherently non-descriptive and somewhat hard to remember initialism, so I wouldn’t be shocked to learn of people who know the feeling but don’t know the terms. Over the years, starting some time in the middle of my college career, I would find myself randomly being triggered by various events and sounds. A light scratch. A cyclic movement. A sound. They would make me drowsy, but stimulated in my extremities and head. It’s really hard to describe the feeling — it can be almost like a light touch of the hands that starts anywhere from the top of the head or the back of the neck and move down through the body and limbs, into in the fingertips, all the while causing an involuntary state of mental relaxation, sleep and/or physical goosebumps. It can be compared to chills or frisson, but caused by something entirely different, perhaps innocuous. I would imagine that the ASMR experience is mentally linked to feelings of parental affection and attention given to one as a baby or young child; many of the most common triggers revolve around personal attention or a facsimile of personal intimacy. Others are, like in the ad, a quiet tapping, rustling, brushing, scraping — usually an atonal sound with a decent amount of variation. And from what I’ve heard, tingles are something not everyone can feel. As the years went on beyond college and into the professional world, I finally caught on to certain patterns and triggers. Almost without fail, I would get tingles whenever they happened. These were such specific activities that I eventually couldn’t help but connect them to the occurrence. Having now recognized the pattern, I sought to recreate the environments that led to the tingles. They felt really good, so like a drug addict, I went looking for a steady fix on YouTube. This was in 2012, and the ASMR community on YouTube was just starting to evolve into the behemoth it is today. I punched in my chosen trigger into the search bar, found a whole host of videos of people either doing said activity, or just black screens of sound. Most of them didn’t actually work. The few that did, I bookmarked. Some of them, I ripped the audio and put it on a loop. It helped me feel better and more relaxed at a time when my professional stress levels were through the roof. Over the course of the next few years, especially as that situation resolved and my life became immeasurably better, I sort of forgot about ASMR. I still had a few audio tracks in my library, but I rarely put them on. I just had other things to keep me occupied. Until I remembered. I don’t know how or why. Maybe the tracks popped into my shuffled playlists? Maybe I was triggered in real life? I don’t recall exactly what brought me back, but when I returned to my drug of choice,, I was stunned to see how much the ASMR community had grown, not only in quantity, but in creativity, diversity, and most importantly, quality. The first ASMR videos I found in 2012 were noisy, straightforward, and short — by 2015-16, they were crystal clear, often featuring a smorgasbord of different techniques and triggers, and usually spanned upwards of 30 minutes to over an hour. It was like discovering a lost treasure trove of mental gold. There was so much that not only did I indulge myself on what I knew gave me tingles, but more often than not, a video would trigger something entirely new. My addiction returned with a vengeance around that time, and I have a pretty good idea why. Over the last few years, I’ve been drawn to a handful of specific ASMR YouTubers, or ASMRtists as they’re known in the community, for their consistent creation of content that rarely fails to give me tingles, as well as their abundantly evident dedication to their craft. Additionally, and perhaps one of the best things about all of this, I’ve found the ASMR community to be one of the more wholesome, friendly, and chill places on YouTube. ASMR is an inherently positive experience, creating feelings of warmth, comfort, and intimacy generally unavailable elsewhere on the platform. Granted, one person’s trigger may be another person’s misophonia, so feel free to ignore the things that don’t work for you. Also, while the Super Bowl ad is somewhat effective, it commits an ASMR cardinal sin: it’s extremely loud at the start. Not cool, Michelob. People crank their volume to indulge in ASMR and any loud interjections or blasting YouTube ads are very much not appreciated. To close on a happy note, I will simply say that ASMR is pretty fantastic. I’m glad the community built around it is so inviting and friendly — it just makes things better in a toxic world. The four videos I’ve shared in this post are from a handful of ASMRtists whose content I value greatly. Each of them has their own style, so there’s always something new to enjoy, and I’m more than happy to broaden their reach to my (modest) readership. Maybe you’ll discover some tingles of your own? My Saturn ION is gone. Its time had finally arrived. 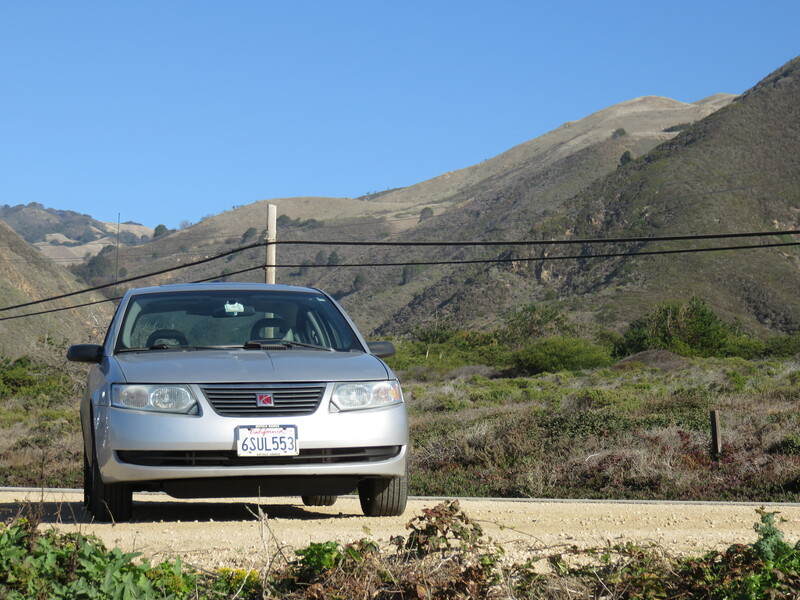 A solid vehicle that drove over 174,000 miles (that’s like 73% of the way to the moon! ), I traded it in for next to nothing. It had been such a solid partner, I felt almost bad giving it up. Before I get into the specifics of that, I’d like to first tell the long, meandering story of its relationship with me. 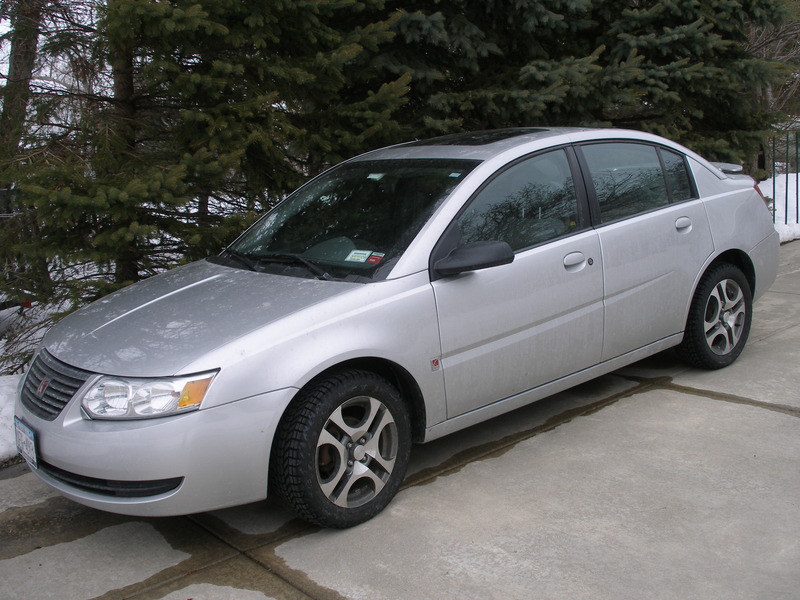 In 2005, my mom bought a silver Saturn ION. Our family had bought nothing but Saturns for years, so getting this latest model after the previous Saturn L had run its course made sense. 2005 was the year I learned to drive, and I hated the ION. Hated it. It was a 5-speed manual with the twitchiest clutch. I still remember getting whiplash as I jerked it around through the parking lot of the high school down the street, miserable. The center-mounted console only made it weirder. 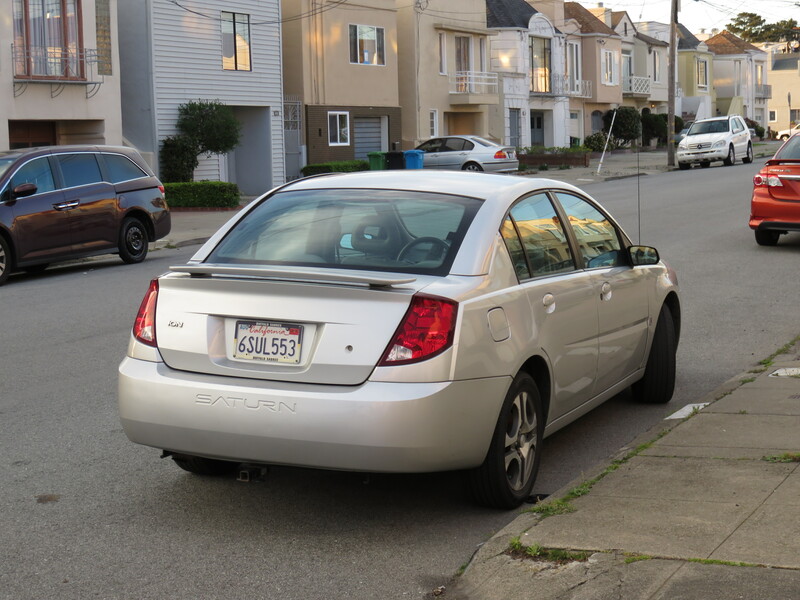 Once I got my driver’s license in 2006, it was the car I drove around most between my parents’ cars. I eventually got used to the feel of the pedals enough that I felt comfortable on even the trickiest hills around Western New York. Whenever I could, I would take advantage of the ION; it provided the only real freedom I had in my life up that point. Not to mention, it pretty much enabled my first real relationship, so that was pretty cool. The car was still mom’s though, so it stayed when I went off to college in 2007. During my freshman year, I spent most of my leisure time in the rooms and halls of my dorm, Bray Hall. It was one of the happiest times of my life, and it’s strange to look back on it and realize just how geographically concentrated my life was that year. There was little I did off-campus then, because why would I want to be anywhere else? I traveled home either by train or by virtue of my brother’s car. I walked everywhere else. It was nice. As the spring semester came to a depressing close, I found a need to be more mobile, especially as the prospect of relocating all of my belongings up the hill to my fraternity house loomed. Thankfully, my parents had a car to loan me, sort of. See, mom sold the ION in winter 2008 to buy a Nissan. So by this point it was gone. But somehow, and I really don’t know how it happened, they ended up getting it back weeks later. They loaned it to me rent-free as a cheap way to get around upstate New York as I moved out of being a coddled freshman into the daunting reality of upperclassmanhood. The inexpensive yet durable sedan had just over 55,000 miles on it as well as an amazing sound system, which I’ll get into later. I took an Amtrak home at the end of April during a weekend when I probably should have been tending to other things… I drove it back to campus a few days later, completely ignoring the fact that I didn’t have a dorm lot parking permit. On the last day of classes, personal events compelled me to drive out to nowhere in particular, Vermont. My first excursion was only a few hours long, yet I found my newfound freedom of movement exhilarating. Over the next few years, the car spent most of its time either in the parking lot at the Lambda Chi Alpha house, shuttling me and/or friends to Price Chopper & intramural hockey games, or being Uber for drunk people before Uber existed. There’s a lot to be said about driving under city lights at night to the sounds of trip-hop. In the summer of 2008, I made my way out to Massachusetts, New Hampshire, and Maine. In the fall I drove through New England to check out the foliage, ascending as far as the Searsburg Wind Farm. I did the same in 2009, going as far as Lake Winnipesauke accidentally on purpose. 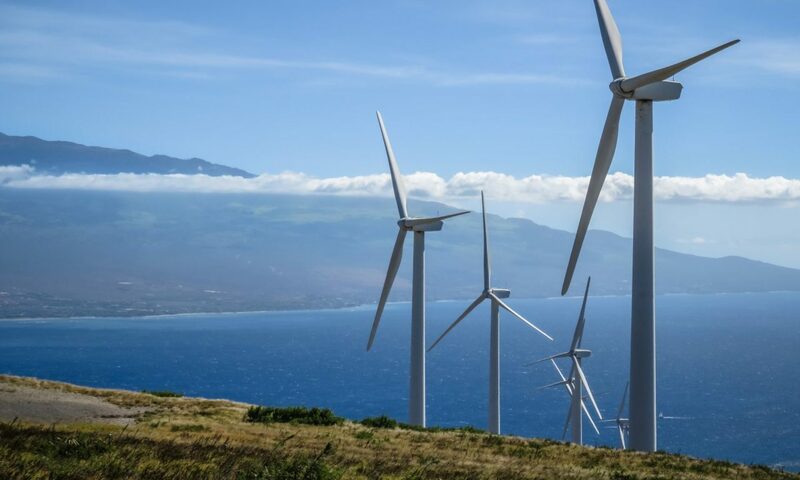 Whenever I was back in Western New York for the holidays or a few days in the summer, I would always take it out to either the beach in Evans, New York, or the wind farms of Wyoming County. Without fail, I must have made both trips every time I was between 2008 and 2011. I’d also inevitably stop in Angola to watch trains roll down the CSX main line. 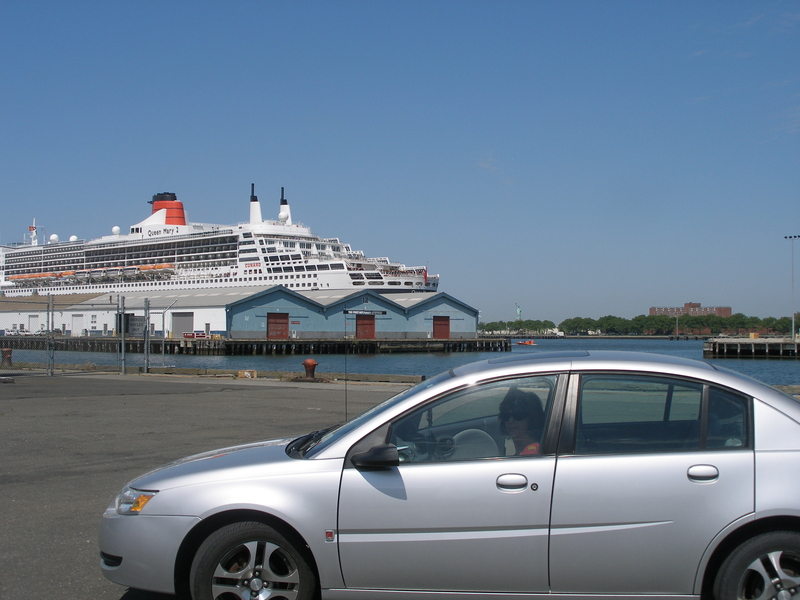 In 2009, whilst spending the summer at college, my mom and I drove down to the cruise terminal in Brooklyn to see my brother off for his studies abroad, the first of several times I’d drive the ION through New York City. This was also the first time where I had to deal with something wrong with the car. On the way back up I-87, the steering wheel shook violently every time I hit the brakes at a relatively high speed. This necessitated a full grinding of the brake discs, which I was thankful to have paid for me. Just a week after that I safely made it all the way to eastern Massachusetts for a Nine Inch Nails concert. The car was like new. Trips out to the east were my favorite. In 2010, I dated a girl who lived in New Hampshire (and later Connecticut), so that was an easy excuse to get out there. Several times the ION made it to the Atlantic Ocean, most memorably at Kennebunkport, Maine in 2008, and at Hampton Beach, New Hampshire in 2010. That trip to Kennebunkport, at 70.5 W, was, I believe, the farthest east the ION has ever been. Speaking of 2010, that was the year of my first (and only) summer internship, wherein I spent late May through early August in Poughkeepsie, New York at the local utility. I lived with seven other people in a crowded dorm and we drove to work every day; about fifteen minutes. Naturally, we carpooled so occasionally I would have to shuttle these folks to the office with me. They were fine for the most part, but there were a few I really didn’t care for. So that was fun. During the last weeks of that internship, I went on a pair of extremely memorable quests. For the first, I found myself zipping all the way south to Elizabeth, New Jersey to buy a bookshelf at the nearest IKEA. This was a two-hour drive, one-way, and I did it after work, mind you. I can still, clear as day, remember sitting on my trunk, eating a slice of IKEA pizza, staring west toward the seaport as dusk settled on the New York area. It was magical. The second was similar, in that on a sunny Saturday I ended up at another IKEA in the New York City area, this time in Brooklyn, to buy a desk. Coincidentally, the very same desk I’m typing this out at. From there, I headed through tunnels and across bridges to a college friend’s 21st birthday party in central New Jersey. That was an… interesting experience. Issues with the Saturn had become more frequent during the middle of my college career. At one point, the engine would not start due to a randomly missing engine component. Another time saw the driver’s side of the interior flooded in heavy rain due to a clog in the sunroof’s drainage duct. The ceiling fabric was never quite the same after that. Indeed, neither was the electrical system. Since the water got into the chassis, at random times my interior lights would pop on, the doors would twitch between locked and unlocked at full highway speed, and the alarm would go off without provocation, sensing an open door when there was none. This issue persisted for nearly a year, on and off depending on the weather. 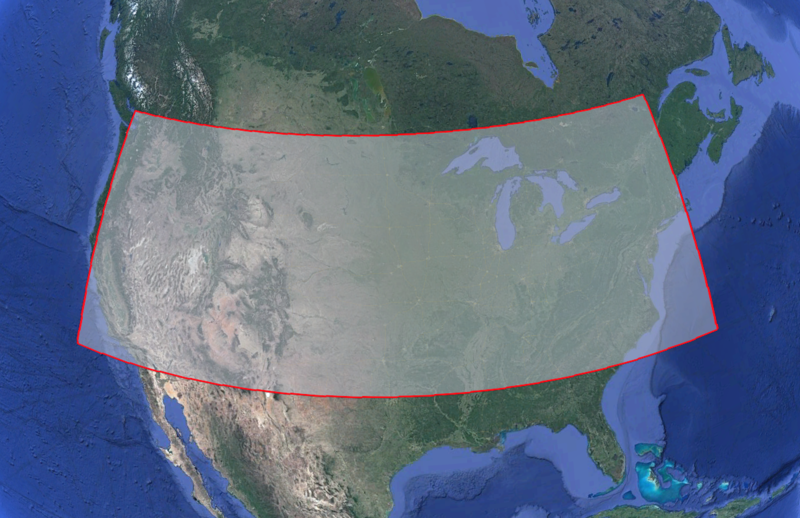 Only months of dry California air seemed to fix the problem once and for all. 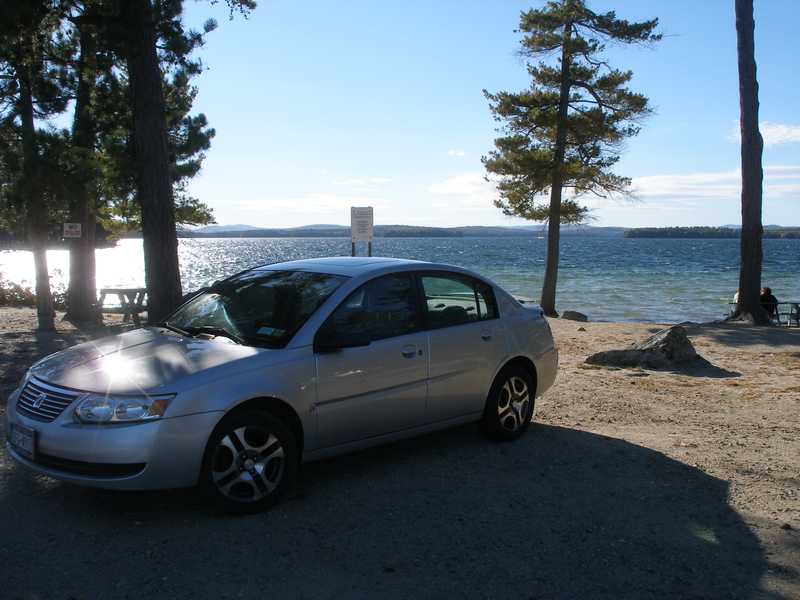 In the fall of 2010, the Saturn ION made its final trip to New Hampshire, where I took it to one last time to Lake Winnipesauke. 2011 saw the end of my time in college. As it came to a close, I had my first real in-person job interview in Holyoke, Massachusetts on a rainy morning in March. Getting there was the most stressful drive I’d ever done to that point. I didn’t do much that summer at home, except those inevitable things I mentioned before. Except, oh yeah, I got a job in California and moved out west in August. 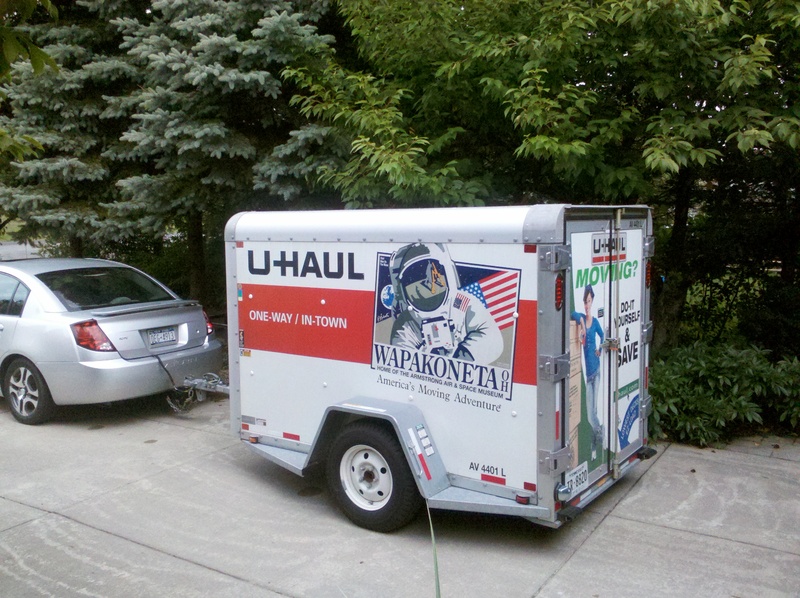 We had a trailer hitch put on the ION and rented a U-Haul trailer. I don’t need to tell this story again; it’s been documented at length. Check it out if you want. I’m still amazed the little silver wonder was able to brave the hills of South Dakota, the mountains of Wyoming and California, and the over 3100 miles of road across the country. In the following years, I would push the ION farther than I ever imagined it would be able to go, but we’re not quite there yet. For the first two years of my life in California, I’d have only a fifteen minute, ten mile commute to work. My office was a dusty shithole, and the silver on the ION gradually became coated in a brown dust. I never thought to wash the poor thing; I really didn’t care all that much about it as long as it got me from A to B.
I went to a smattering of nearby locations over that time from late 2011 to the middle of 2013. A few hockey games in San Jose and Stockton. A concert in Sacramento, as well as an eclipse out there. One trip down the coast to Big Sur and Monterey. Weekend soccer games in Livermore. San Francisco was the only real “distant” place I’d gone to with some regularity. Driving a stick shift in San Francisco is an experience, let me tell you. I have a distinct memory of sitting at a stop light on 17th Street above the Castro on my way to Twin Peaks, struggling to find the balance needed to push forward while not crashing into the car behind me. It worked out, eventually. The city and surrounding areas were no sweat. I’d find myself driving to Hawk Hill nearly once a month for no reason in particular. The crests and valleys of San Francisco on the way were only part of the fun. At the end of 2012, I had to get from Tracy to San Mateo for the FE Exam. Since I was over an hour away, I had to leave the night before and stay at a hotel. For whatever reason, that trip, even though it was a full night before the exam, was absolutely the most stressed out I’ve ever been in that car. I was freaking out during the relatively harmless ride through Dublin and Hayward. I get it, because that exam sucked, but I’ve never felt like that since. Once I lost my job at the end of June 2013, things went a little nuts. I took a long trip up to Vancouver and back in this bucket of bolts. Not having employment, I decided to sleep in my car most of the time to save cash. I’ve already written a one, two, three, four, five part series about the adventure so I’ll spare you the details once again. Still, I’m amazed the ION made it there and back without any issues whatsoever. Given the remoteness of some of the route, it’s almost a miracle nothing happened. This was also the only time I recall driving across the border. It had probably made the journey to Southern Ontario at least a few times between 2005 and 2008, but I don’t remember. That Cascadia trip was hindsight perfection. Northern Vancouver, at 49.36 N, was the northernmost point the ION had ever been. 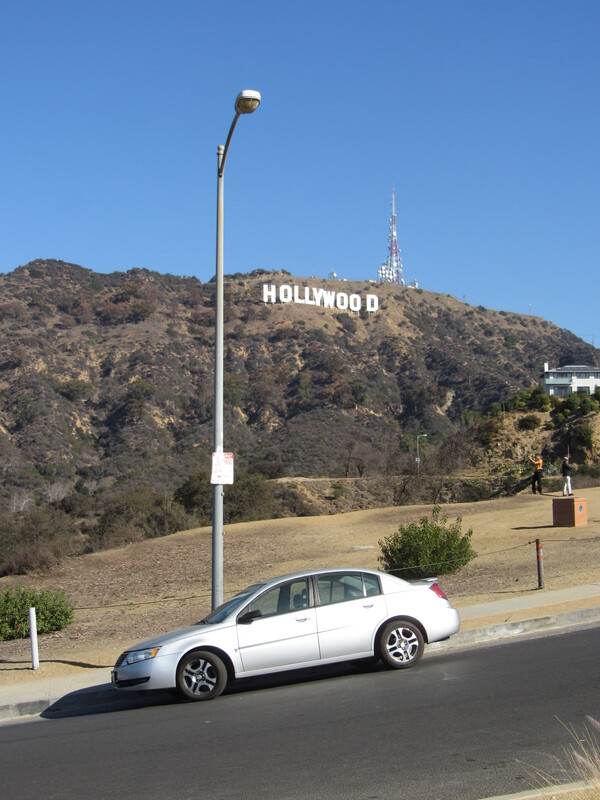 Just a few months after the quest to Cascadia, I took to the road again, this time to the south, to Los Angeles and beyond. Like the other trip, this is well documented in a one, two, three, four part series. Fun fact, I-5 at the Camp Pendleton Gate in Oceanside, California, at 33.21 N, is the farthest south the ION had ever gone. However, unlike the Cascadia trip, this one almost killed the ION. Read about it in part three. Poor thing. I got it fixed immediately; it wasn’t as serious as it sounded. Still, after this moment, I’d felt like the car was a little bit of a time bomb. Thankfully, it was more than willing to get me over to Belmont, California a week later for the job interview that landed me my next employment. Since that situation wasn’t wrapped up until February 2014, I took a meditating drive through the night along the northern coast. That ride was a treasure. Incidentally, Gualala, California, at 123.53 W, is the most westerly the ION had been. 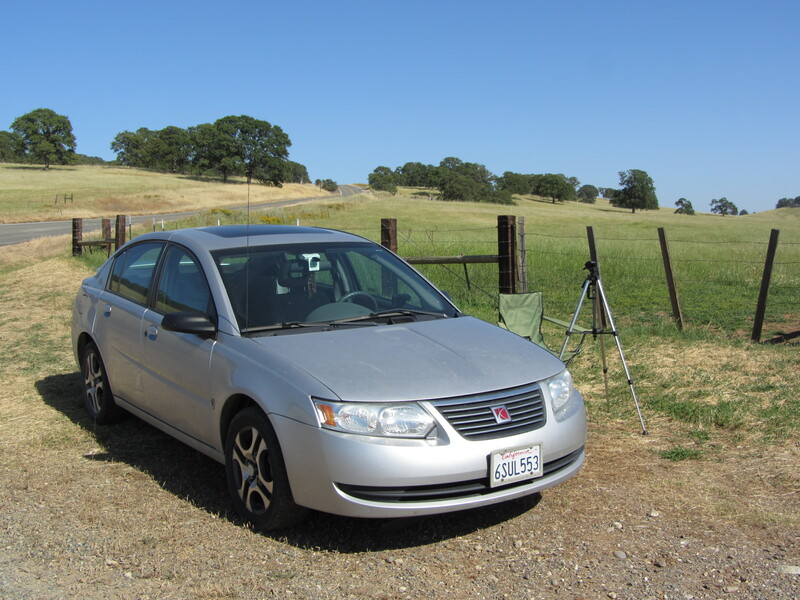 This concludes the geographic extremes of the Saturn ION. The next year was spent going back and forth from Pleasanton to Belmont. That commute was long and got rough real quick. I was spending more time in my car than ever before, and it was draining my life force. Unfortunately, I couldn’t yet afford to replace it. Side note: the CD player of the ION had multi-disc & mp3 CD capability, so long, assorted mix CDs were how I entertained myself while driving for years and years. The sound quality was great. However, the 2005 model fell into an awkward era where manufacturers had moved beyond cassette players, but hadn’t integrated AUX (and later, Bluetooth) connectivity. At the beginning of 2014, as I rapidly became obsessed with the world of podcasting, I bought a cheap FM transmitter to connect my phone to. It did its job nicely for a few years, and I ended up getting a better model with Bluetooth compatibility in early 2017. It made things a little easier, but it was still FM radio, in the end. Eventually I really started to feel the need for a direct connection between phone and car. Getting back to 2014, with my new commute putting at least 300 miles on the car per week, issues really started piling up. The brakes were completely gone by the first few months of that year. The cooling system later stopped working suddenly. Random creaks started to get worse. Pushing down on the driver’s side of the trunk caused an awful racket. At the beginning of 2016, shortly after I returned from Peru, the ION’s fuel line spontaneously sprung a leak. I noticed that I needed two attempts to start the car, followed by the smell of gas in the cabin. One afternoon in the parking lot, I started the car only to watch gasoline cascade down onto the pavement, while a coworker observed. This was a problem with an unavoidable and costly fix. I had started truly thinking about getting a new car at this time, but I still couldn’t justify the cost on a monthly basis. Indeed, once the job in Belmont died out, I barely even touched the ION for days on end. At the end of that year, I bought a bike. The ION would carry me down the hill to the Great Highway, where I learned to ride it. I couldn’t have gotten there any other way. On the other hand, now that I could ride around on two wheels, I didn’t drive the ION to Hawk Hill anymore. I didn’t take it to Fort Point or Twin Peaks. Its use for San Francisco-related scenic tasks fell completely out of favor. It wasn’t until I got another job in 2017 that it really became useful again. Driving to and from Walnut Creek every day, between sixty and seventy miles depending on route, made its use absolutely necessary. It also accelerated its rapid decline. That spring, I had the tires replaced. Winter rains made driving terrifying. 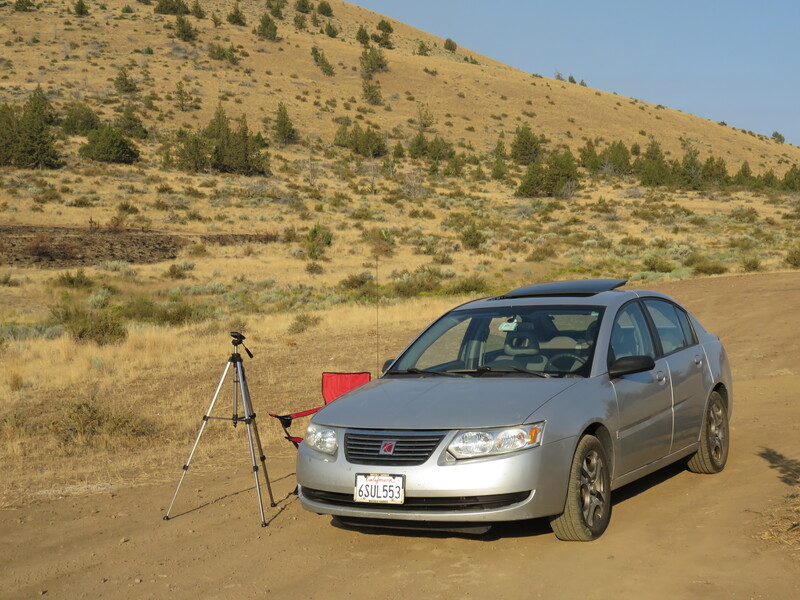 As summer came, I started planning a trip to Oregon for the eclipse in August. 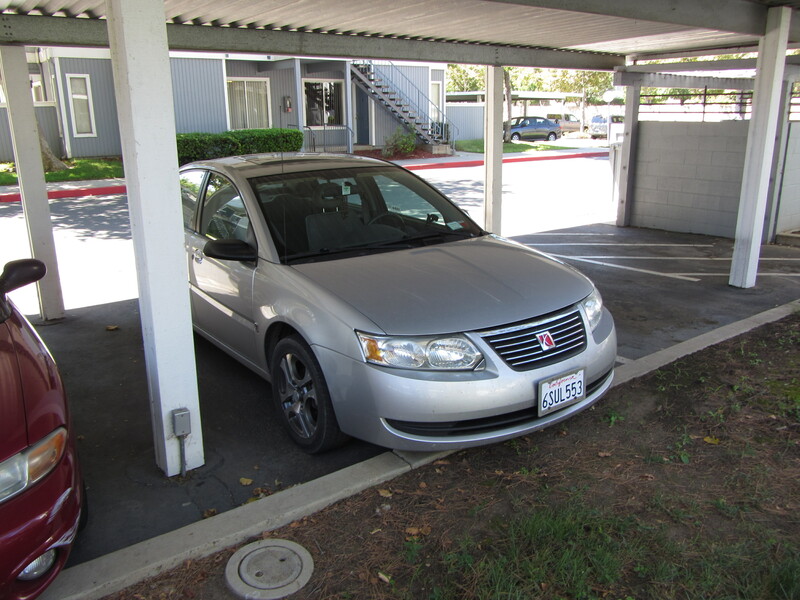 There were a few things I needed to fix in the ION to make it suitable, including fixing the window controls, clearing the check engine light, and getting a smog test for registration. The door panel was an easy fix, even though I had diagnosed its issue incorrectly. The check engine light required an emission system fix, similar to the gas line. That was long and expensive. Also, I replaced my bumper grille which had fallen out on the freeway after being struck by an object in the road. I ordered and installed that part myself, which was rather fun. Around the same time, I researched methods to clean my headlights to restore their luster. A drill and a 3M kit later, plus patience, and they were like new. I had finally, after nine years, found an interest in maintaining and taking care of my ION. I even bought car wash stuff. It was a whole thing. Naturally, I nearly wrecked the car days later. An unavoidable stray cone sitting in the middle of CA-24 tore a hole in the underside of my car, destroying the radiator and disabling the cooling system. Panicked, I rolled it into the shop that had just fixed my emissions leak, thankfully just next to my office, and began research on a new car. 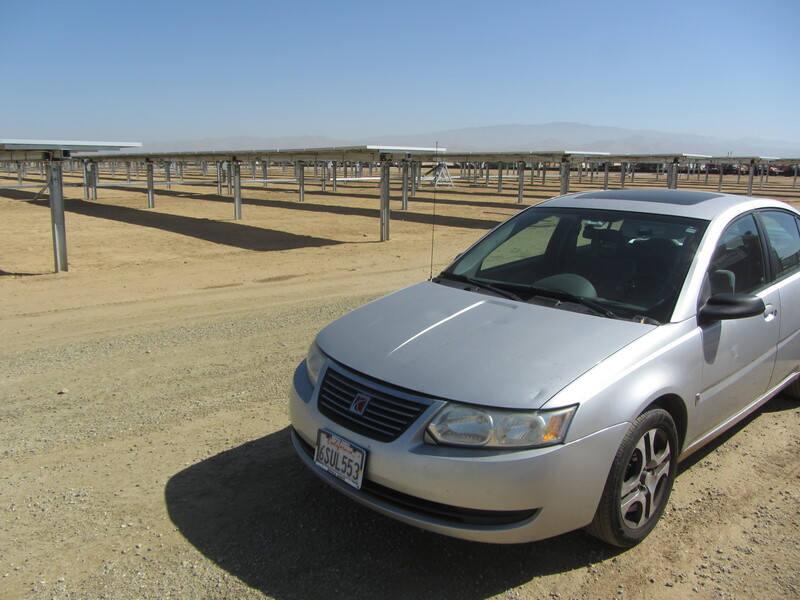 For better or worse, the repair cost didn’t quite hit my new car threshold, and the ION came out good as new, yet again. Honestly, the fact that I had shined the headlights played a role — I didn’t want my hours of labor to go to waste so soon. Besides, that week was finally the Great American Eclipse. 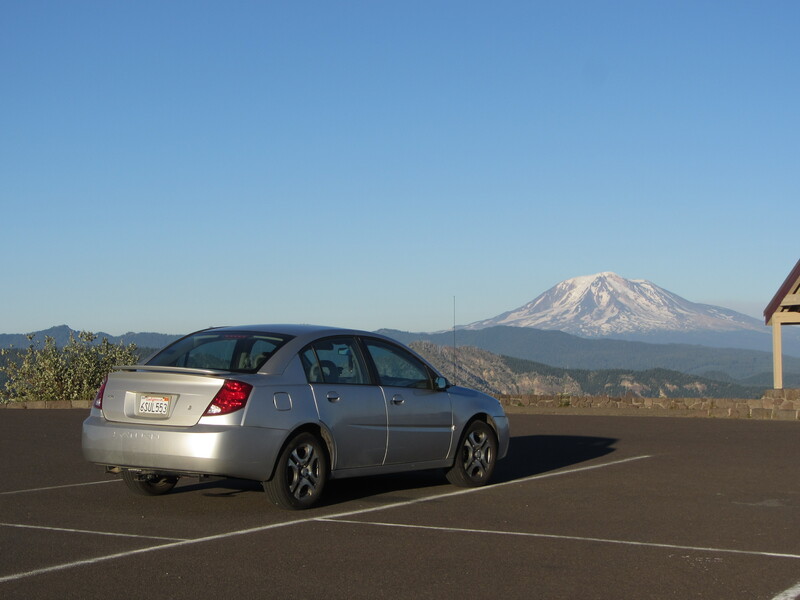 As I’d been planning, I drove all the way to Oregon and back over a long weekend. That was the last big adventure for the ION. And what an experience it was. It was also the last time, of nearly two dozen times, that I would sleep in my car. At the end of 2017, I took one final ride down the coast to the Bixby Creek Bridge, as I had done way back in 2012. It was the day after Christmas, and beautifully sunny. Why the finality? I had been preparing myself for its imminent end for months — because I was afraid of the ION. On the morning of October 20th, 2017, I almost crashed my car. It was like any other morning commute, through the dark down Sunset Avenue toward I-280. At Lake Merced, there’s a long curve to the east; I nearly completely lost control on this curve. It all of a sudden felt like the car was sliding on ice. While I swerved unexpectedly back and forth, the completely wayward feeling of the car was jarring and frightening. It was like a bad dream. Thankfully, I was able to recover in a short time without deviating from my lane. I can’t imagine what the cars next to and behind me saw… At the next light, I pulled onto a side street to inspect the car. To my surprise, there was nothing apparently wrong with it. No loose parts. No flat tires. No damage. Nothing. But there was something wrong — I no longer felt safe in this car. Not having modern safety features and electronic control, among many other now-standard equipment, the Saturn was suddenly archaic. After a few months of internal debate and research, I decided to pull the trigger on a new car. It had to be done, for my own sanity. I was no longer willing to see it through to its end — lest it be the end of me as well. It was time. And thus, just a few weeks ago, I finally said goodbye to the ION. It all happened very quickly, with a simple online listing and an appointment. 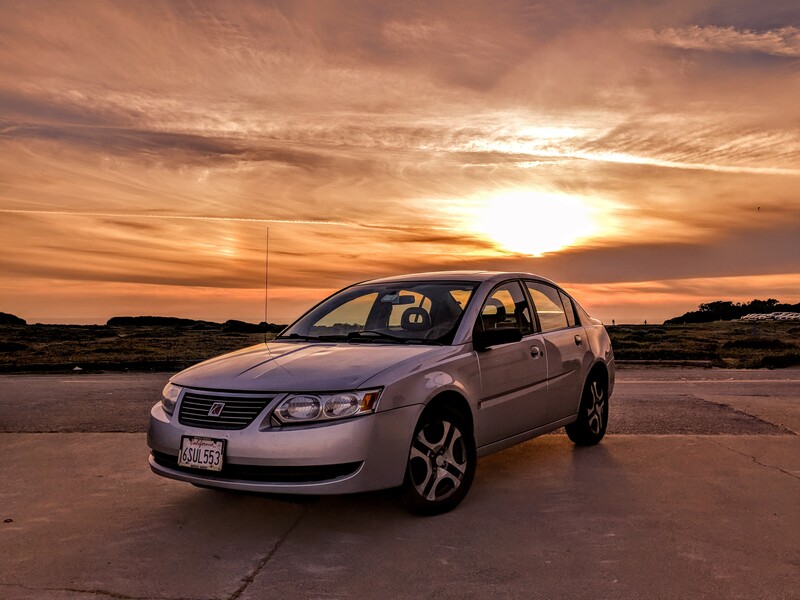 Before I knew it, my poor Saturn had been emptied and stripped of its plates, and I was headed home in a new, unfamiliar car. Thirteen years of history — nearly half of my life between coming of age as a teenager, through college, and into my professional career — as well as thousands upon thousands of miles seen and traveled, were gone. Just like that. Before I traded away the only vehicular partner I’ve ever known, I took it to the edge of the world to memorialize it. Drive off into the sunset, old buddy. You’ve been a great companion and you deserve a rest.